It’s science and it’s pretty. Here’s a spectacular shot of a vast region of gas, dust, and hot young stars deep in the constellation Sagittarius (The Archer). 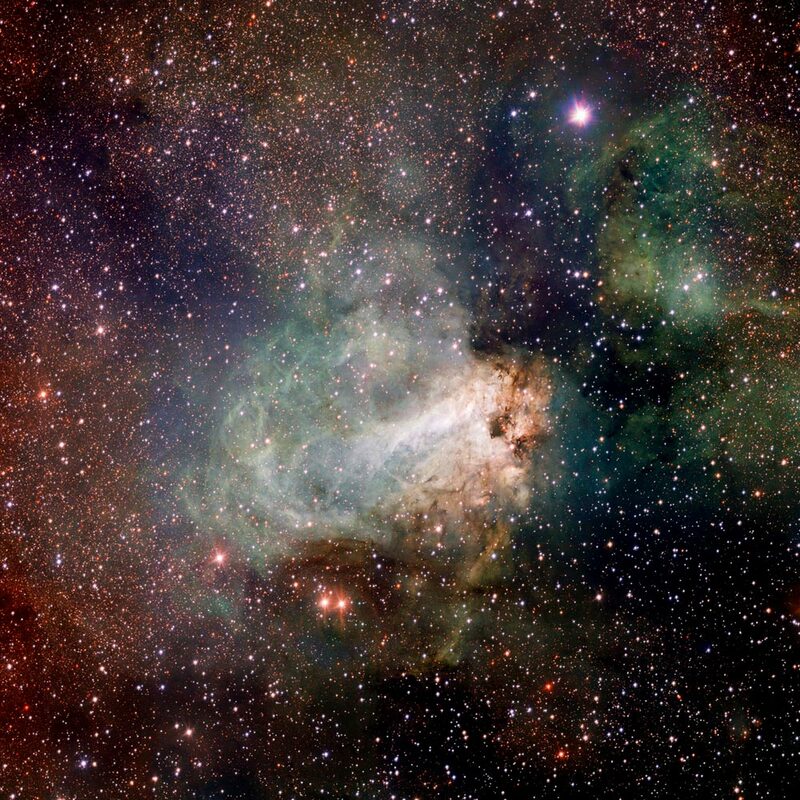 This area is also known as the Omega Nebula or the Swan Nebula. This is picture of a ‘star nursery.’ It’s also one of the first images released from the new VLT Survey Telescope in Chile, a collaboration with the European Southern Observatory. The VLT Survey Telescope is a state-of-the-art 2.6-meter telescope, combined with a huge 268-megapixel camera. The camera uses 32 CCD’s sealed in a vacuum to create 268 megapixel images. This array is designed to map the sky both quickly and with very fine image quality. To read and see more, go here on Physorg.com. Most people know about the Hubble Space Telescope but not the man who is honored by its name. Just as many New Yorkers believe that the Holland Tunnel was a gift of the Dutch to New York City. (It’s actually named after its chief architect, Clifford Milburn Holland). I first read about astronomer Edwin Powell Hubble while reading a biography of Aldous Huxley; they were friends during Huxley’s California years. Hubble is probably most noted for discovering the ‘red shift’ of light of from distant stars and galaxies, proving they are moving away from us at a constant rate. In 1929 Hubble’s Law proved the universe was expanding and gave us a way to determine its age. In 1931 Hubble was visited by Albert Einstein who thanked him for his discovery. Einstein had previously staked his position out for a static, immobile universe. This puts Hubble into that exceedingly small group of scientists personally thanked by Einstein for correcting him. 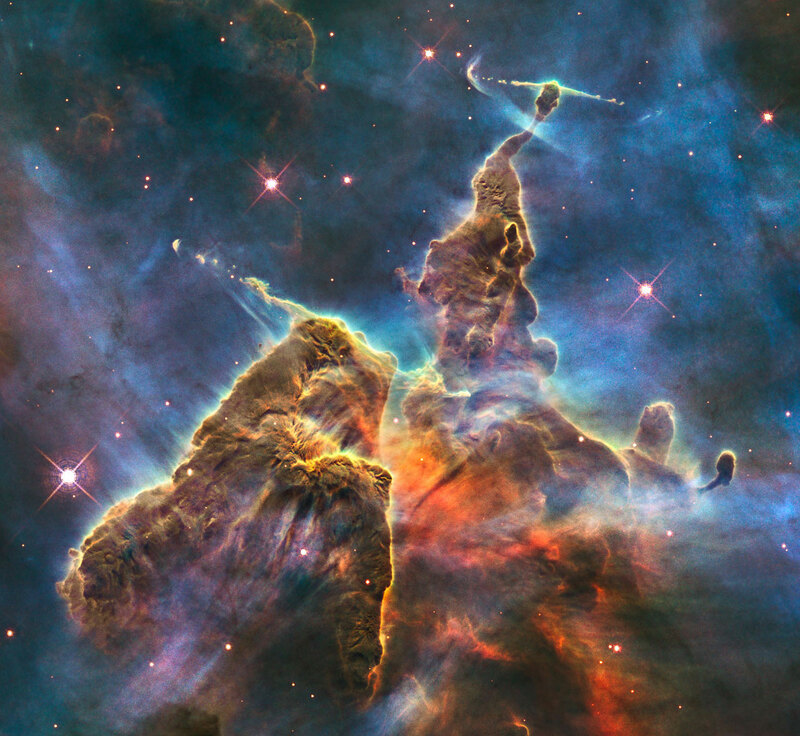 The main Hubble site has an incredible archive of images, this link takes you to a subset of particularly beautiful photos. Everyone complains about their taxes; everyone feels their taxes are too high; everyone believes the government wastes the money that they collect. . .but the Hubble Space Telescope is a project that no one can seriously claim has not been worth the cash spent on it. This video comes to you courtesy of Modernist Cuisine: The Art and Science of Cooking by Nathan Myhrvold, Chris Young and Maxime Bilet, a six-volume, 2,400 page set that using science-inspired techniques for cooking food. Designed for serious foodies and scientists with highly developed taste buds, the set retails for a whopping $625! It’s been hailed as “the most important book in culinary arts since Escoffier” by Tim Zagat, who surely knows a thing or two about good eats. Check out their listing on Amazon.com here for more info and a look at some beautiful sample pages. It highly unlikely that I’ll ever own this set (or adopt its cutting edge cooking techniques). But I’ll always remember them fondly for this high frame rate video of a bouncing Jello cube. TV Eyes 3D Glasses. Watch regular TV in 3D. Guaranteed! Right. . .
“TV Eyes 3D Glasses. Watch regular TV in 3D. Guaranteed! But wait! – these 3D glasses are not stereoscopic 3D, the only kind of 3D that actually exists. Note: all text in blue is from the eBay seller of the above item, a $25 pair of 3D glasses that are not, in fact, 3D glasses. They’re something revolutionary and new! When you hear those words, you should know to hold your wallet tightly. A while ago on the New York Stereoscopic Society’s site I had a back-and-forth with an eBay seller offering something similar, glasses with small holes in them designed to give a 3D effect to movies and TV not actually filmed in 3D. You can follow the links below to see how that went. TV Eyes Glasses: revolutionary new process or tired, old rip-off? 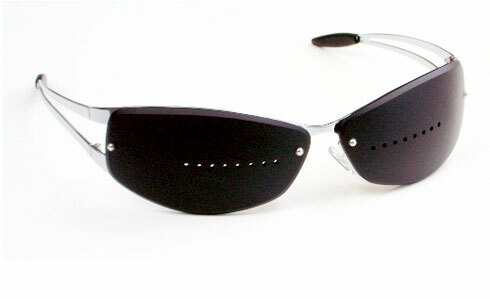 Update on TV Eyes Glasses: Pinholes from Pie Holes? Or Just Another Sonic Transducer? Second Update on “TV Eyes Glasses” – Pinholes it is! TV Eyes 3D Glasses: the Manufacturer Responds Again. . .and We’re Still Not Convinced!! 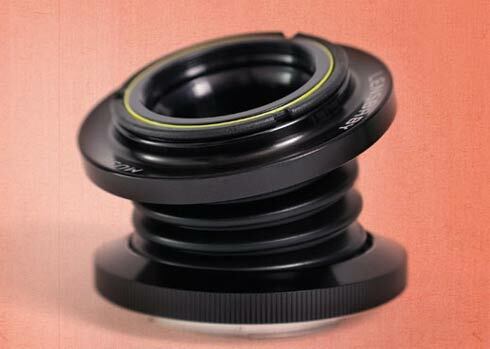 Jim Zuckerman of Shutterbug gives an excellent run-down of lens effects here. He covers the Lensbaby (pictured below), lens flare, star effects, zoom abstractions and a few filters. The entire Shutterbug site is filled with information, reviews, tips and how-tos. A good place to explore if you’re looking to solve a photographic problem or you’d like some inspiration. Otto Kitchens is a photographer who has fallen in love with the Holga, a cheap medium-format film camera with a plastic lens originally made in Hong Kong in 1982. Follow his story, and see the artistry that can be achieved with a 25-year old ‘toy’ camera at the New York Times photography blog Lens, here. 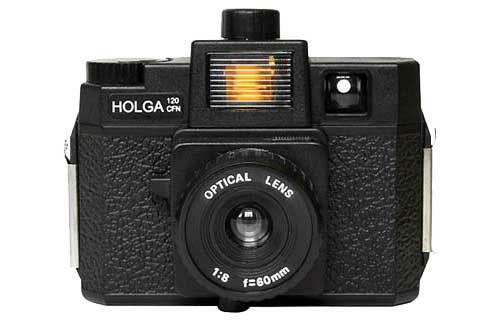 For more information, history and a place to buy Holga’s and modified Holga’s check out Lomography’s Holga pages, here. Lomography is an interesting a site dedicated to experimental, analog film cameras and their fans. If you don’t want to give up the convenience and low cost of your digital camera, you can duplicate the effects of many ‘toy’ cameras with the Mac/Windows app Lo-Fi, retro photography made E-Z. Laurent Hoffman explains Tilt/Shift photography at The Creators Project blog. If you saw last year’s The Social Network you saw an example of this technique applied to cinematography in the opening of the Henley Royal Regatta scene with the Winklevoss Twins (see screen capture below). Actually, what was done in The Social Network was more precisely miniature faking, which mimicked the still photo process of tilt/shift. The top and bottom horizontal sections of a tilt/shift image are slightly out of focus and the middle third of the image gives an effect of miniaturization. 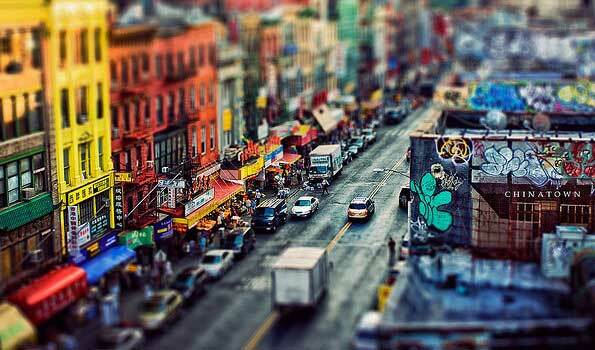 Smashing Magazine has some outstanding examples of tilt/shift photography on their site, here. Click on image above for larger size. If you’ve got a camera with a very fast shutter speed, you may be able to take the separate exposures needed for an HDR image without a tripod. How can that be possible? It’s explained here by George Schaub at Shutterbug.com. High dynamic range images may seem gimmicky to some but they do reproduce a photograph that comes far closer to what we perceive when we view a scene with our eyes; they’re constantly making exposure and white balance adjustments that are impossible to capture in any single exposure. Brian May (with Elena Vidal) author of the superb A Village Lost and Found about 19th century english stereo photographer T. R. Williams is said to be working on a book about stereo diableries. We can’t wait! But in the meantime you can peruse the Early Visual Media web site of Thomas Weynants for more background and many more superb images. I’ve had an interest in the 1939 New York World’s Fair ever since as a child I came across a paperweight that my grandmother had depicting the Trylon and Perisphere that were the inescapable symbols of that fair. The Trylon was narrow triangular 610 foot tall tower that sat next to the round Perisphere, 185 feet in diameter. I’ve read books about it and even a DVD of silent color film footage taken there (more than anything else this gives you the feeling of what it was actually like to stroll along the broad avenues that housed the various exhibit halls. There’s another reason for my interest and that’s because this World’s Fair introduced a polarized, Technicolor, stop-motion animated 3D movie, directed by John Norling. The film was called “In Tune with Tomorrow” and it was a centerpiece of the Chrysler Pavilion. In 15 minutes you watched a 1939 Chrysler Plymouth being assembled from parts that – without human intervention – danced and hopped into place. (The 1939 version was in B&W, for the 1940 edition it was color and the name was changed to “New Dimensions”). A 2D version used to be available online but has been removed. For more details check out the Iowahawk web page here. Periodically, 3D seems to surface due some specific technical advance, briefly capture the attention and imagination of the public and then slip off the radar again, derided as just a ‘gimmick.’ Right now it seems we are in the midst of the biggest 3D revival the world has yet seen with mainstream Hollywood films, animated and live action, being produced, 3D capable television sets and video game consoles for sale, along with the first twin-lens 3D digital cameras for consumer use (the Fuji W1 and W3). While stereoscopic 3D imagery will always be interesting to me, it remains to be seen if the current passion for 3D becomes a permanent evolution in mass media, or will once again fade out of the mainstream and become a niche interest of a small number of dedicated hobbyists. Social Media: What is it Really – Threat or Menace?